During the upcoming 2017 Snow Season Lake Mountain Alpine Resort will host the following Cross-Country Ski Events which form part of the Australian Cross Country Skiing 2017 Race Calendar released by the SSA XC Committee. Lake Mountain Sprint X is a fun sprint ski loop held in the main village area at Lake Mountain Alpine Resort, spectators are encouraged to get involved in all the action. Note: All events subject to weather/snow conditions. 2017 Snow Season Opening Weekend !! 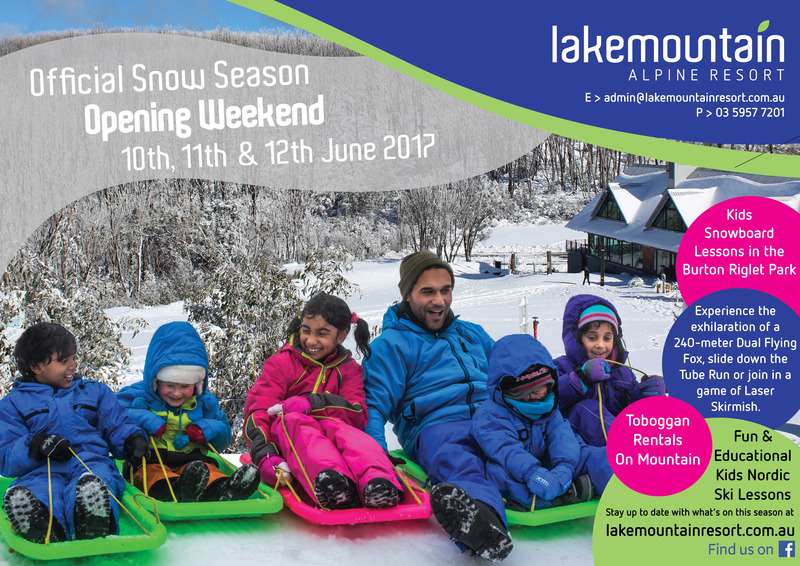 Saturday 10th to Monday 12th June is Lake Mountain Alpine Resort’s official beginning of the 2017 Snow Season! Lake Mountain has some fantastic adventure activities for everyone to enjoy. Experience the exhilaration of a 240-meter Dual Flying Fox, slide down the Tube Run or join in a game of Laser Skirmish! Open every day throughout the snow season! (Weather permitting). Tickets can be purchased on the mountain on the day. 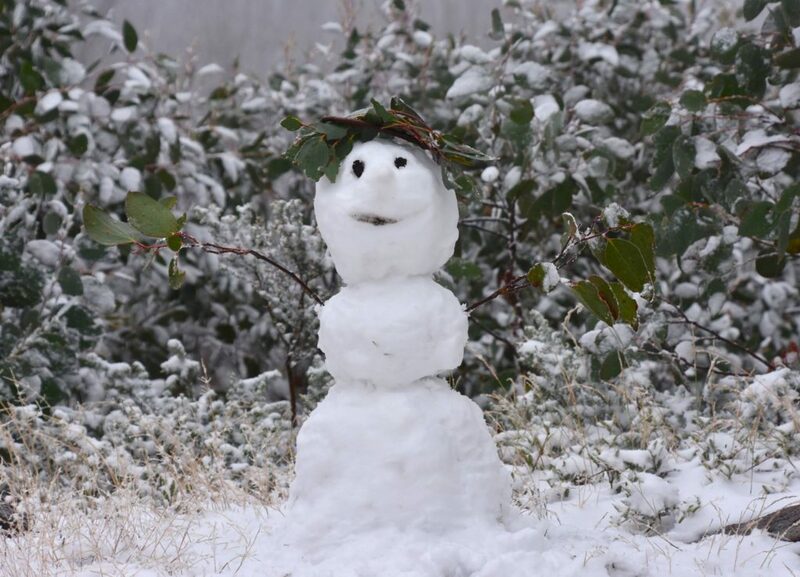 To plan your trip, take a look at Top 10 things to do this Snow Season Opening Weekend! 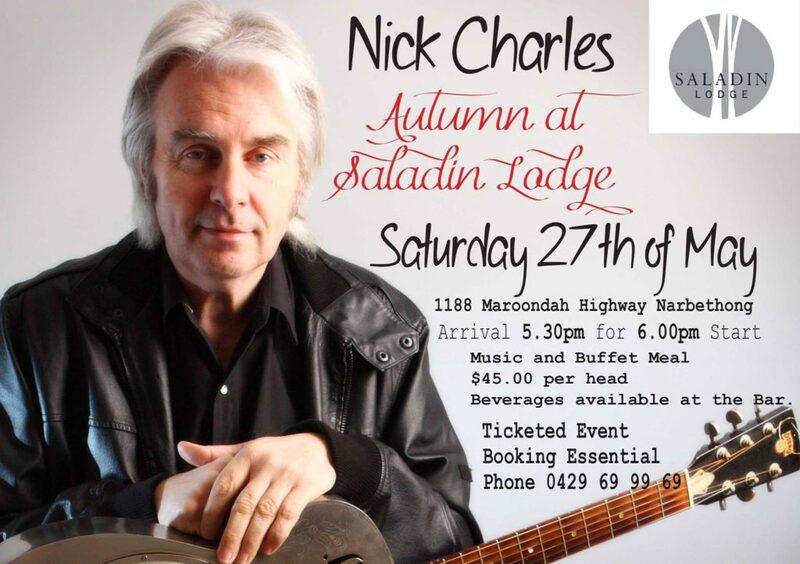 Nick Charles, Australia’s virtuoso of acoustic roots and blues, is back at Saladin Lodge. Bookings are essential and include both dinner and show. This year’s “headline act” is Russell Morris. 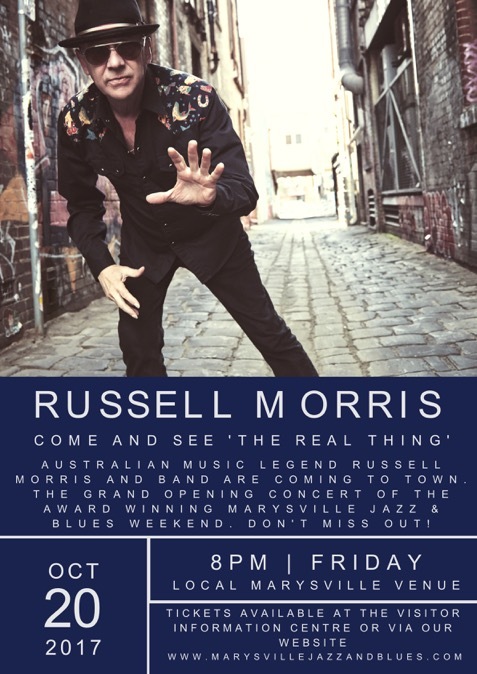 Russell will open the weekend festival with a performance on Friday night the 20th October 2017. Also performing for the Jazz & Blues weekend is the phenomenal guitarist Geoff Achison & The Soul Diggers together with Australian Blues master and acoustic guitarist extraordinaire Lloyd Spiegel . Official Marysville Jazz & Blues Festival Website Click here.